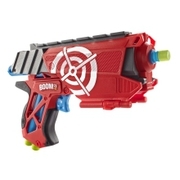 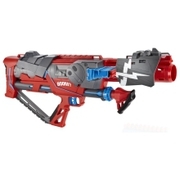 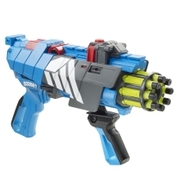 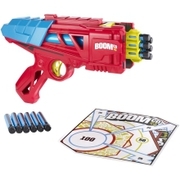 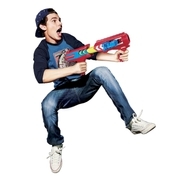 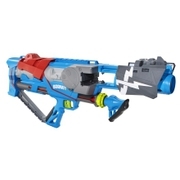 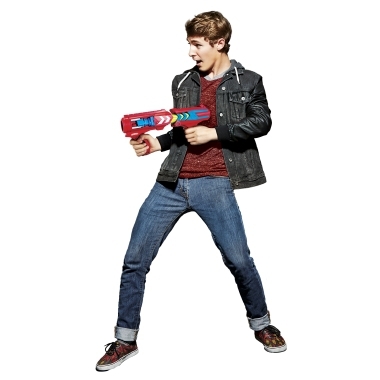 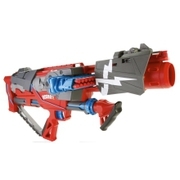 BOOMco™ Mad Slammer™ BlasterDart Toys & Blasters - Awesome Blasting Gear & Toys for Boys - BOOMco. Get the ultimate rapid fire action with Mad Slammer™, featuring the BOOMco.™ clip system to deliver epic, quickfire blasting! The Mad Slammer™ comes with a 20 dart clip with 20 darts for awesome firepower. 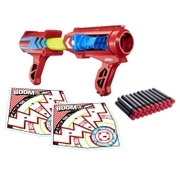 Shoot darts as quickly as you can with slamfire action, up to an epic 70 feet! 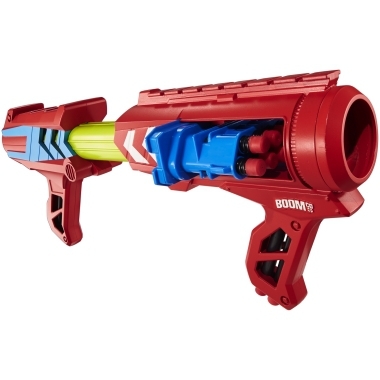 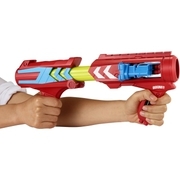 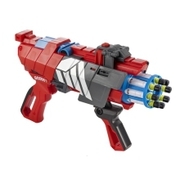 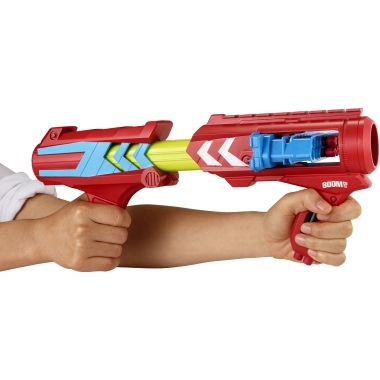 It also features the unique BOOMco.™ blaster rail so you can attach accessories and expand the battle action. 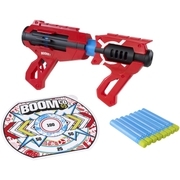 Keep the blasting action going and create your own battle zone with the 2 included Smart Stick™ sticky back targets! 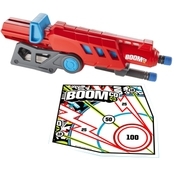 The Mad Slammer™ delivers adrenaline-fueled fun!